We’d love your help. Let us know what’s wrong with this preview of Their Name Is Today by Johann Christoph Arnold. To ask other readers questions about Their Name Is Today, please sign up. This book is awful for many reasons, a few of which I will list here. 1. It makes very black and white, broad generalisations about many complex topics including technology usage, video games and ADHD. Eg. It argues that ADHD is made up entirely and can be cured by nature (true only when the child has been misdiagnosed; not true when the child actually has ADHD), that video games cause crimes like shootings (when in fact research indicates that children who play violent video games actually let This book is awful for many reasons, a few of which I will list here. 1. It makes very black and white, broad generalisations about many complex topics including technology usage, video games and ADHD. Eg. It argues that ADHD is made up entirely and can be cured by nature (true only when the child has been misdiagnosed; not true when the child actually has ADHD), that video games cause crimes like shootings (when in fact research indicates that children who play violent video games actually let out their frustration through them rather than on society; in any case the book does not differentiate between violent and non-violent video games). 2. It cites no scientific evidence for the strong statements it makes, and, like the example cited above, several of the claims the author makes have actually been found to be untrue, according to proper, unbias research. 3. It is based on anecdotes from various people whose authority the author uses as if they are experts in their fields. Some of these people are friends of the author or bloggers etc. This is fine of course except that the author uses anecdotal evidence as if it is hard fact, with no room for the other side of the argument. I could go on but you get the picture..
Their Name Is Today: Reclaiming Childhood in a Hostile World should be read by everyone, from young parents to the aunts, uncles, grandparents, teachers and administrators and other community members to our elected officials and appointed policy makers that help raise, nurture and educate children. All are strongly encouraged to consider and discuss the many very important themes Johann Christoph Arnold’s latest book highlights with compassion, understanding and love. For countless children over Their Name Is Today: Reclaiming Childhood in a Hostile World should be read by everyone, from young parents to the aunts, uncles, grandparents, teachers and administrators and other community members to our elected officials and appointed policy makers that help raise, nurture and educate children. All are strongly encouraged to consider and discuss the many very important themes Johann Christoph Arnold’s latest book highlights with compassion, understanding and love. For countless children over many decades the American schoolhouse has been an oasis in a sea of despair. It has been and should continue to be a ladder from poverty to success. Arnold reminds us, “Children are our national treasure.” This book should be a wakeup call for us all. I absolutely adore this book I felt an instant connection when reading every chapter. Extremely clear, consistent with beautiful quotes per opening chapter. Highly recommend to early years practitioners, parents, adults, those studying or curious about childhood and definitely parents to be in the future. I am a student and a trainee early years practitioner. This is sent from heaven. Just like to add this book does not "instruct" you in anyway to treat a child differently it's full of warmth loving I absolutely adore this book I felt an instant connection when reading every chapter. Just like to add this book does not "instruct" you in anyway to treat a child differently it's full of warmth loving experiences. I was sent this book for free from the publisher as a part of library thing’s early reviewer program. *childhood as a time that should be without the stress of overscheduling, achievement/safety obsessed parenting (say no to the tiger mom), or the stresses of an adult wor I was sent this book for free from the publisher as a part of library thing’s early reviewer program. *testing/standards focused education making little room for addressing individual needs or time for free exploration. *Solutions the author suggests are in no way unique to those suggested in numerous magazines and books on the same subject. *Much like “Last child in the Woods” this author reminisces about and romanticizes a childhood that simply isn’t the reality of the average 21st century child or family. *Every chapter was filled to the brim with anecdote that the author then used to make generalizations. *He seemed to really be addressing a very specific audience, one that shared his world view and socioeconomic class. *Citations were often links to other people’s opinion pieces, similarly themed books, or news articles about studies in some cases, non-definitive (correlation is not causation) or only slightly related to the topic. In an anecdote a mother talks about how her teen told her that “he is comfortable talking to people on the computer because he does not get bullied.” She goes on to call what her son says was bullying as “awkward childhood moments” being “opportunity for growth.” That maybe, just maybe, if he hadn’t been online, he’d have better social skills. Interesting anecdote. To my knowledge there is no study saying online communication causes problems with face to face social skills. The author certainly doesn’t cite one. I was bullied from elementary through high school. It didn’t teach me social skills. Those “awkward childhood moments” of being spat on, pelted with rocks, and sexually harassed did teach me something. I learned fear, shame, and self-hate. Oh how it would have been nice to have the internet back then and to have been able to connect with people who understood. Arnold tries to say internet research where children have access to the libraries of the world is poor, and somehow not spending time in a limited resourced library creates lazy students. While teaching how to find good resources is necessary, saying that internet research is limiting is preposterous. Even if he were right regarding technology and social skills (and he isn’t) poor social skills does not equal autism. Autism is a neuro-developmental condition that research shows is present at birth and leads to significant differences in brain development especially in the first year. There is far more to it than merely communication or social skills issues and autism would not be diagnosed merely on speech delay. Further autistics, because of difficulty (in varying degrees) with spoken face to face communication, benefit from having technology as alternate means of communication both online and in day to day life. The author hasn’t done his research. He encourages a common dangerous misconception that affects how persons on the spectrum are perceived and treated. Johann Christoph Arnold poses some pointed questions about the hows and whys of raising children in our culture in his Their Name is Today: Reclaiming Childhood in a Hostile World (Plough 2014). In Their Name is Today, Arnold, a pastor of the Bunderhof, writes with a pointed prophetic voice and a pastoral heart to challenge the way we educate and raise our children. He reviews sweeping changes in the way our society treats children. But he also highlights the stories of dedicated parents and educ Johann Christoph Arnold poses some pointed questions about the hows and whys of raising children in our culture in his Their Name is Today: Reclaiming Childhood in a Hostile World (Plough 2014). In Their Name is Today, Arnold, a pastor of the Bunderhof, writes with a pointed prophetic voice and a pastoral heart to challenge the way we educate and raise our children. He reviews sweeping changes in the way our society treats children. But he also highlights the stories of dedicated parents and educators who are finding creative ways to give children the time and space they need to grow. The book takes its title from a Nobel Laureate's, Gabriela Mistral, poem that appears in the first pages: "Many things can wait. Children cannot ... Their name is today". And the book highlights so many of our children's challenges today: Technology, standardized testing, overstimulation, academic pressure, marketing to children, over-diagnosis and much more. And it's a clarion call for all who love and care for and respect children -- parents, teachers, and pastors, especially. We all have the power to transform one another's life -- including our children! -- if we practice that loving care and respect. Give today's children time to play, Arnold proclaims. Give them access to nature. Give them a patient discipline that rejects fear and corporeal punishment. And he blends that pastoral advice from the wisdom of some of the wisest amount us -- great thinkers as well as ordinary people. I know of no greater book for parents, teachers and churches that deals with the very intentional and faithful task and gift of raising children. I was hanging on every word, because Arnold, in around 160 pages, really has captured the essence of what it means to reclaim childhood in a hostile world. Children are our most precious possessions, but in today's busy world sometimes we forget. This is a wonderful book for parents, grandparents, teachers, and anyone who loves children – the key word here is loves. Arnold makes the point over and over is in his chapters. Children need love and respect. They want to be seen as people. They want to love you back. The book is filled with excellent advice about limiting screen time, trying to escape the commercialism of our culture, and dealing with difficult children. In all the chapters, the theme is the same. If you love your children, you'll teach them discipline and give them a moral compass. Loving your child doesn't mean giving in or giving everything he or she wants. Being a parent isn't easy. We're not our children's playmates, although playing with our children is a wonderful thing to do. We are the adults. The children need our strength. It must be very frightening for a young child to think he's the one in charge. If parents don't give them limits with love, they will be at sea. I highly recommend this book. If you're doing the things Arnold suggests: limiting your child's television and tablet time, giving but in limited quantities, and taking time to be with your child. You're doing it right, and you'll feel reassured. You may even find some additional ways to help your child. If you aren't doing any of the things Arnold suggests, there is always a place to start. Take some time to just be with your child. This is a remarkable book! Pastor Arnold's words emanate wisdom and commonsense. His book reminds us of how we, each one of us, have been and continue to be responsible for the future that lies in the hands of children of today. It is an urgent call to stop and re-evaluate - right now - what we as a society are doing to our children. We all need to make changes, personally and as a society, TODAY, as the title implies. And, Pastor Arnold provides thought-provoking answers. One of the best things This is a remarkable book! Pastor Arnold's words emanate wisdom and commonsense. His book reminds us of how we, each one of us, have been and continue to be responsible for the future that lies in the hands of children of today. It is an urgent call to stop and re-evaluate - right now - what we as a society are doing to our children. We all need to make changes, personally and as a society, TODAY, as the title implies. And, Pastor Arnold provides thought-provoking answers. Johann Christoph Arnold's book, which was given to parents at my son's day care facility, is shamelessly unscientific in its approach, but with something that is mostly about the heart and about trusting our own instincts about how to best parent and teach anyway, I found this an interesting and overall powerful argument. Arnold's love for children, both the very young and the teenagers I work with every day, bursts off these pages. No reader will agree with everything here—for every parent who Johann Christoph Arnold's book, which was given to parents at my son's day care facility, is shamelessly unscientific in its approach, but with something that is mostly about the heart and about trusting our own instincts about how to best parent and teach anyway, I found this an interesting and overall powerful argument. Arnold's love for children, both the very young and the teenagers I work with every day, bursts off these pages. No reader will agree with everything here—for every parent who loves his or her children deeply, I believe, will parent a little different, each in their own way—but everything here will give the reader pause. There is so much that is really important in this book but, before I begin, I would like to address an issue with which I DON'T agree. The author feels that computers should not be part of a child's life. He believes they make us lazy, giving the example of his son producing a report on the computer within hours that would have taken him months to write, stating that his son's report lacked the element of verification or truth. If that were the case, his son's report should have been rejected! W There is so much that is really important in this book but, before I begin, I would like to address an issue with which I DON'T agree. The author feels that computers should not be part of a child's life. He believes they make us lazy, giving the example of his son producing a report on the computer within hours that would have taken him months to write, stating that his son's report lacked the element of verification or truth. If that were the case, his son's report should have been rejected! Whether using books or a computer for information, it's the individual's responsibility to verify the accuracy of the information. The author asks how curious children will be if they learn to Google first and ask questions later. My response would be that one has to be curious FIRST in order to Google about any topic! He states that "the accessibility of screen devices has caused a significant decline in children's resilience, self-determination, desire for hard work, and a sense of pride in achievement." (P48) While there may well be a decline in the factors mentioned in SOME children, this cannot be attributed to computers, etc. These are merely tools, just as pens, paper, and books are tools. It is up to the individual to make meaning from them. Last, and worst of all, the author feels that electronic devices have lead to children being unable to communicate with a real person; they have not had the opportunity to learn human interaction (P49). 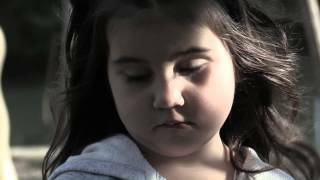 This might happen in the extremely rare case, and should be brought to the attention of Children's Services for neglect! This is certainly not true of children in general. - the need for 'white space': time spent alone in unstructured activities which act as a lull from children's lives which are so often overwhelmed by entertainment, material goods, high pressure academics. (P52). - P63 he writes: 'most children in developed regions like Western Europe and the United States have far more than they need. We are raising a generation of what can only be called spoiled brats.' 'Spoiled children are often the product of spoiled parents who insist on getting their way and whose lives are structured around the illusion that instant gratification brings happiness.' Hmm! Something to think about! - He accuses adults of spending time on their smart phones, when they are with their children. He advocates (p60) 'Let's put our smart phones away . . .
Let's shut off the power, take our child by the hand, and show them that the real world is a fascinating place.' YES! - He addresses the issue of violence in our society and quotes Barbara Kingsolver's letter on the subject (p80). The letter is well worth reading! I'd like to end by quoting the author's beautiful words on page 145: 'Whether or not we believe in a loving God, we can all show love and respect towards the children in our care. This will in turn awaken their own inborn sense of reverence - both for themselves as unique individuals, and for others." Their Name Is Today by Johann Christoph Arnold is a great book calling all parents to wake up and take a stand for their children…..NOW...while it is still today!! Reading this work highlights the daily challenges that parents are faced with in the increasingly electronic and over stimulating culture in which we live. The author does not stop with merely informing us of the obstacles we face, but he also outlines significant and tangible solutions to equip the reader with a plan of action. Their Their Name Is Today by Johann Christoph Arnold is a great book calling all parents to wake up and take a stand for their children…..NOW...while it is still today!! Their Name Is Today by Johann Christoph Arnold is a call to reclaim our role as parents and step up to meet the true needs of our children in an ever changing, increasingly fast paced world, and inherently materialistic culture. The book is not for the faint hearted as it illuminates a lot of the monstrous challenges that we face as parents in our attempt to raise well balanced, God fearing, respectful, productive adults in western civilization today. The author, Johann Christoph Arnold is a senior pastor of the Bruderhof, described as a Christian community. His esteem for children and family is heartwarming and champions a desire within the reader’s heart to make a genuine effort to clearly identify the strengths and weaknesses within each of our children and respond appropriately. The author has much to say about the way in which we should guide our children including ample time for them to be a child through play and plenty of outdoor nature exploration, as this is truly how they learn problem solving skills that will take them into adulthood. Arnold also emphasizes the extreme importance of authentic human interactions and the danger of missing these opportunities due to time lost in electronic screens. There is much to learn within the pages of this book. The urgency that is felt as one reads this text is contagious and presents the reader with the simple truth that our children really are only children for a short time, therefore, we cannot afford to miss the opportunity to give them the best of ourselves in a devoted manner, while it is still today. Arnold reminds us that culture is constantly undercutting our job at every turn, but we must stand firm in our convictions. There is a spirit of love and compassion sprinkled with reverence from beginning to end in this book. Arnold’s sincerity is clear and his mission is undeniable. The message is a cry to put away our electronics; reprioritize our schedules to personally lead our children; be role models without hypocrisy; and to live with the constant reminder that “parenting is a privilege and not a problem!” Do not delay in getting this book. You will be a wiser parent for having read it! Thank you to Plough Publishing House for this review copy of Their Name Is Today by Johann Christoph Arnold. The opinions within this review are my own. I was honored to have read this book, and feel that I have been given a gentle reminder of the importance of the job called, “parenting”. Heart of a Philanthropist would like to thank Johann Cristoph Arnold for providing us with a copy of his book in exchange for an honest review. This review was first seen on Heart of a Philanthropist's blog. My son said to me the other day, "Mom, you are either on the computer or in bed." It struck a chord as I was already feeling a bit the same way myself. How much time do I as a parent spend on electronics and not with my child? How much time do my children spend on electronics and not with hum Heart of a Philanthropist would like to thank Johann Cristoph Arnold for providing us with a copy of his book in exchange for an honest review. This review was first seen on Heart of a Philanthropist's blog. My son said to me the other day, "Mom, you are either on the computer or in bed." It struck a chord as I was already feeling a bit the same way myself. How much time do I as a parent spend on electronics and not with my child? How much time do my children spend on electronics and not with human interaction? How much time are we away at meetings? Or doing chores? Are these things as important as we believe they are? Johann Christoph Arnold reminds us that the children of today are the adults of tomorrow. Do we want our grandchildren raised the way our children are being raised? How much 'education' is enough, and are we hurting our children by requiring them to learn so much more than previous generations? We are raising a society of people who do not communicate, and that is not good. However, Arnold does not condemn parents/caretakers in Their Name is Today, rather he encourages us to really adore our children and get to know them at their earliest ages. We need to not worry so much about testing and if our children are at the level they are suppose to be. These things can actually hinder our children. Instead we need to be more like children- getting on the floor solving problems through play. However, children do need parents to teach them respect, morals, and how to live as adults. Don't be too busy to teach them the importance of them! By showing our children the value of family and the roles we should play, we will teach them how to be strong confident loving adults. Why am I reading a book on children? Because as a father of four sons and grandfather of 12 they are a big part of my life. And because I care about not only my own circle of children, but like the author, about all children. Author Johann Christoph Arnold, senior pastor of the Bruderhof, and his wife Verena have eight children, forty-four grandchildren and one great-grandchild. Outstanding credentials or what?! It is probably the voice of the pastor and counselor that comes through strongest in t Why am I reading a book on children? Because as a father of four sons and grandfather of 12 they are a big part of my life. And because I care about not only my own circle of children, but like the author, about all children. It is probably the voice of the pastor and counselor that comes through strongest in the book. It is obviously written with much experience and love of children. and their senses of being developed. The book is full of wisdom, at once ancient, modern, forward- and backward-looking, timeless and eternal. For me the best chapters, and the most urgent, are chapter 3, "Great Expectations" about the pressures to succeed, and chapter 4, "Screening out" about the impact of technology on children. I thought this book was really good. My kids are grown now but I do have grandchildren. Are we listening to our children? We need to be we need to have a open mind. Sometimes they have good ideals. Not that they rule over us as parents but that we actually listen to show them we value their opinion. Children are quick to anger but on the same note they forgive very easily. So many things different today in raising kids. Kids have to know so much now just to enter school. We was taught those things in school. Our kids are growing up way to fast they don't even have time to be a child. The world is full of technology and to much of this is bad for the kids. This is really a good book. Get it and check out what Johann has to say about it and many other things. I believe as he does we are pushing our kids to fast. With the world of electronics and video games. We need to rethink this. This is not good for the future children. I can already see less communication. I like what he had to say. Raising children is the most responsible thing any of us do in our lifetime and yet there seems to be the least training available for it. This is the closest thing to a handbook on how to raise a family that I've come across. It will stay on my shelf and then be passed on to my kids when they take over with the next generation. 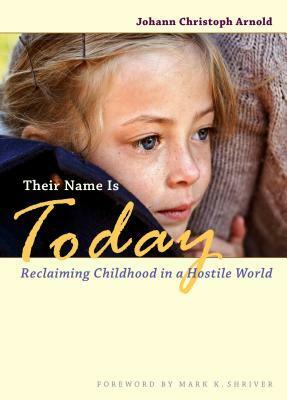 When I was offered a copy of the book, Their Name is Today: Reclaiming Childhood in a Hostile World, I accepted eagerly. The book has been a quick read with gems of wisdom tucked in. In the first chapter Johann Christoph Arnold asks this question . . . This book is well-written and extremely applicable to today's society. I highly recommend it. This beautiful little book should be read by every parent, teacher, and anyone else who cares about our world's children. The kids deserve our best, including love, time, education, guidance, discipline, and reverence. Mr. Arnold clearly sees the ways of today that surround childhood. Some things are good, helping to maintain innocence that childhood 'should' hold. He also clearly sees the turbulence of the world and how those ways affect childhood. This turbulence wraps around the lives of all of us, but children need to be protected from so much these days. Sadly, they are not. He points out how our children are jettisoned into the world without the safeguards that they need to keep their innocence. He sees this in the home, in the schools, in stores, on television, and so much more. "Our response upon encountering a child must be nothing less than reverence. Perhaps because the word sounds old-fashioned, its true meaning has been blurred. Reverence is more than just love. It includes an appreciation for the qualities children possess (and which we ourselves have lost), a readiness to rediscover their value, and the humility to learn from them. "Reverence is also an attitude of deep respect,...."
We each have a part to play in the raising of children, whether we have our own, care for or about others' children, or even just caring about all of the children of this world. Adults in society need to restore the reverence for life and for one another. The hope that I see through this powerful little book is that each one of us -- parents, teachers, counselors, anyone who works with children -- can help to restore "every child's right to the joy and wonder of childhood." Every one of us can engage in relationships and modeling that will share a better way for this world where children live and grow. Value, love, nurture, respect, reverence, and joy can be shown so that these little ones can grasp the fact that this is who they are. Who they are is not what they do nor what they want. This books makes me sad that this is the world in which these young things are brought up within, yet also gives me all the more reason to tutor with the love that God has given me. I love the children that He gives to me and I want to be the best steward I can in the short time I have them in my life. Over the years of teaching, being a children's librarian, and now a tutor, I have had many children. They were given to me to teach and love and respect. I have done my best even though I did not always have this information in my back pocket. I just knew that this is how I was to be with each child. Thank You, Father, for gifting me with the tools to do the task to which You called me. "Many things can wait. Children cannot. Right now their bones are being formed, their blood is being made, and their senses are being developed. To them we cannot answer, "'Tomorrow.'" Thus the title of the book: "Their name is Today." "People have come to expect sound advice from Johann Christoph Arnold, an award-winning author with over a million copies of his twelve books in print in more than twenty languages. A noted speaker and writer on marriage, parenting, and end-of-life issues, Arnold is a senior pastor of the Bruderhof, a movement of Christian communities. With his wife, Verena, he has counseled thousands of individuals and families over the last forty years. "Arnold’s message has been shaped by encounters with great peacemakers such as Martin Luther King Jr., Mother Teresa, Dorothy Day, César Chavez, and John Paul II. Together with paralyzed police officer Steven McDonald, Arnold started the Breaking the Cycle program, working with students at hundreds of public high schools to promote reconciliation through forgiveness. This work has also brought him to conflict zones from Northern Ireland to Rwanda to the Middle East. Closer to home, he serves as chaplain for the local sheriff’s department. There are some really good ideas here but unfortunately they are often drowned out by the bad. The book is written more as a personal blog post, with his friend's opinions and anecdotes being presented as facts from professionals. The whole thing was very nostalgia-driven and definitely had a ring of "back in my day"
I also found myself increasingly frustrated with some of the assumptions made in the book. I have always worked with a diverse range of families from different backgrounds. Many of t There are some really good ideas here but unfortunately they are often drowned out by the bad. The book is written more as a personal blog post, with his friend's opinions and anecdotes being presented as facts from professionals. The whole thing was very nostalgia-driven and definitely had a ring of "back in my day"
I also found myself increasingly frustrated with some of the assumptions made in the book. I have always worked with a diverse range of families from different backgrounds. Many of these children came from complicated family situations. All I could think in my head is "How would these parents cope with this approach?" And frankly they would not. It feels like the author is from a middle class, white, able bodied background with English as a first language and has simply never worked with anyone who has not varied from these categories. I'm not sure who the intended audience was; it seemed written for both teachers and parents. Unfortunately, it did not provide any new info for teachers and did not provide any sound solutions for parents. This book felt like it would be better as a series of blog posts. It seemed to contain little in the way of proven facts, but supported the writing with anecdotes from friends and neighbors. I completely disagreed with the chapter on over diagnosing learning dis I was disappointed in this book. This book felt like it would be better as a series of blog posts. It seemed to contain little in the way of proven facts, but supported the writing with anecdotes from friends and neighbors. I completely disagreed with the chapter on over diagnosing learning disabilities. Not all children can be "cured" simply with environmental changes and it seemed to devalue those who do truly struggle with disabilities. The entire book felt like there is no hope for society. While there are plenty of problems in America, there are also plenty of great things happening. Schools could definitely benefit from allowing kids to be kids, especially in kindergarten and 1st grade, but this book gave no evidence as to why that would be beneficial. Instead of envying the ease with which our neighbours seem to raise perfect offspring, we will remember that rule-breakers and children who show their horns often make more self-reliant and independent adults than those whose limits are never tried. I was reading this book to get back into a teacher mindset at the end of the summer. However, several things about it made me more intentional with my time with my own kids. There were some things that seemed a little generalized but overall it makes you think and that’s always a good thing. This is a book that every parent, teacher, or anyone who works with children should read. It is one that I will definitely be reading more than once. This should be required reading for anyone who has children, works with children or loves children! Arnold’s message was shaped by People have come to expect sound advice from Johann Christoph Arnold, an award-winning author with over two million copies of his twelve books in print in more than twenty languages. A noted speaker and writer on marriage, parenting, and end-of-life issues, Arnold was a senior pastor of the Bruderhof, a movement of Christian communities, until his death in April 2017.